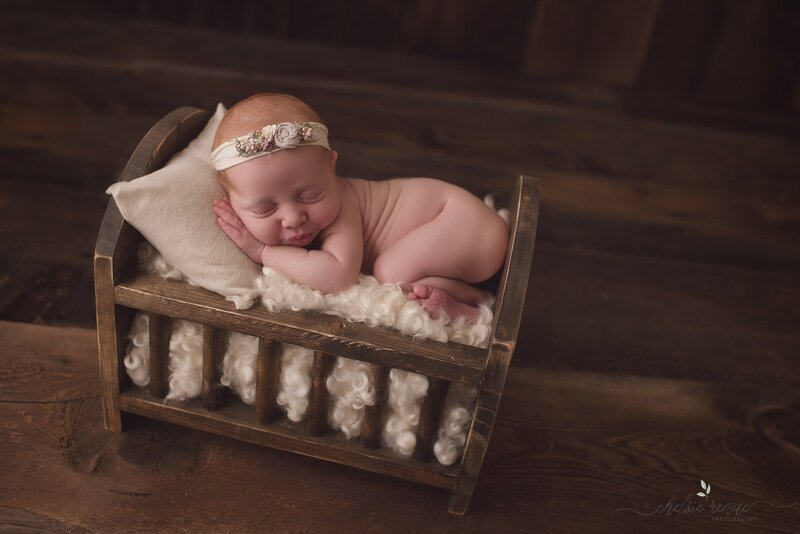 Sweet little Baby E came to the studio for her newborn session. She came along with her big brother and sister. Big brother and sister were so proud, and excited to show off their new baby sister. Baby E’s brother and sister enjoyed being my helpers around the studio during their sisters newborn session. Kids always enjoy the simplest things, like a little hand vacuum to keep them busy. 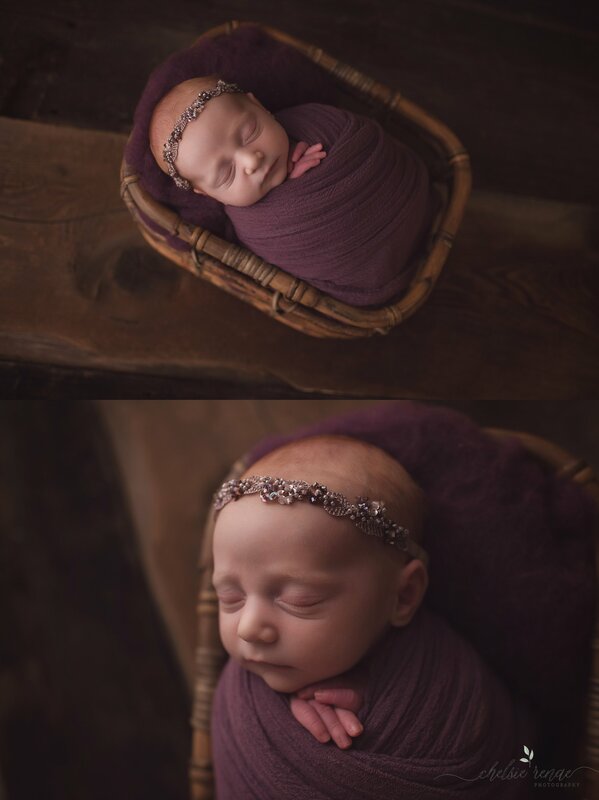 Baby E was simply gorgeous with her soft, light tones, and that wispy red hair softly tucked into floral headbands. She was a good sleeper, snuggled into all the fun baby props. Baskets, cribs, buckets, and the arms of her loving siblings. I love the natural wood tones in the background of her photos. Keeping things simple and showing the beauty in a newborn is my favorite shoot to do. If your expecting and would like a newborn photo shoot, you can book now. 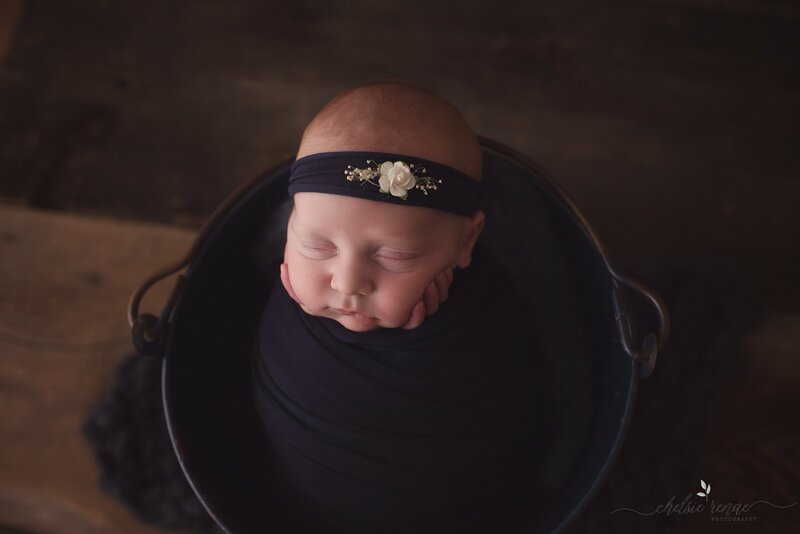 Newborn sessions take place typically around the two week mark of being born. Please consider booking your session prior to the arrival of your baby to secure your session date. Contact me if you have any questions.